Beware of the pleasant view of the fatherhood of God: God is so kind and loving that of course He will forgive us. That thought, based solely on emotion, cannot be found anywhere in the New Testament. 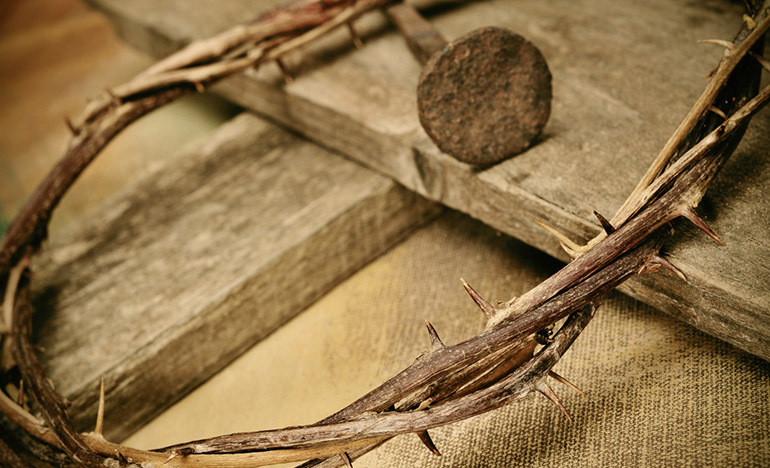 The only basis on which God can forgive us is the tremendous tragedy of the Cross of Christ. To base our forgiveness on any other ground is unconscious blasphemy. The only ground on which God can forgive our sin and reinstate us to His favor is through the Cross of Christ. There is no other way! Forgiveness, which is so easy for us to accept, cost the agony at Calvary. We should never take the forgiveness of sin, the gift of the Holy Spirit, and our sanctification in simple faith, and then forget the enormous cost to God that made all of this ours. Forgiveness is the divine miracle of grace. The cost to God was the Cross of Christ. To forgive sin, while remaining a holy God, this price had to be paid. Never accept a view of the fatherhood of God if it blots out the atonement. The revealed truth of God is that without the atonement He cannot forgive— He would contradict His nature if He did. The only way we can be forgiven is by being brought back to God through the atonement of the Cross. God’s forgiveness is possible only in the supernatural realm. Compared with the miracle of the forgiveness of sin, the experience of sanctification is small. Sanctification is simply the wonderful expression or evidence of the forgiveness of sins in a human life. But the thing that awakens the deepest fountain of gratitude in a human being is that God has forgiven his sin. Paul never got away from this. Once you realize all that it cost God to forgive you, you will be held as in a vise, constrained by the love of God.